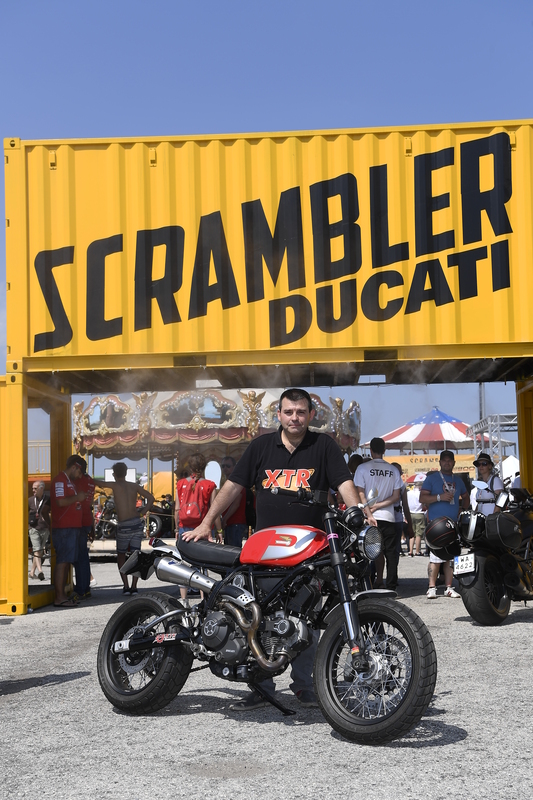 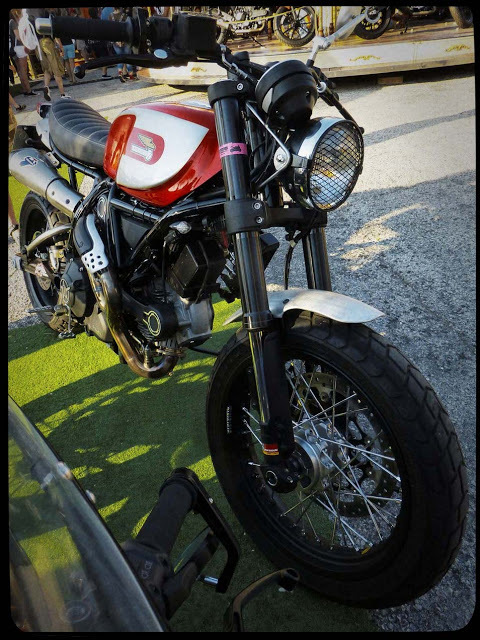 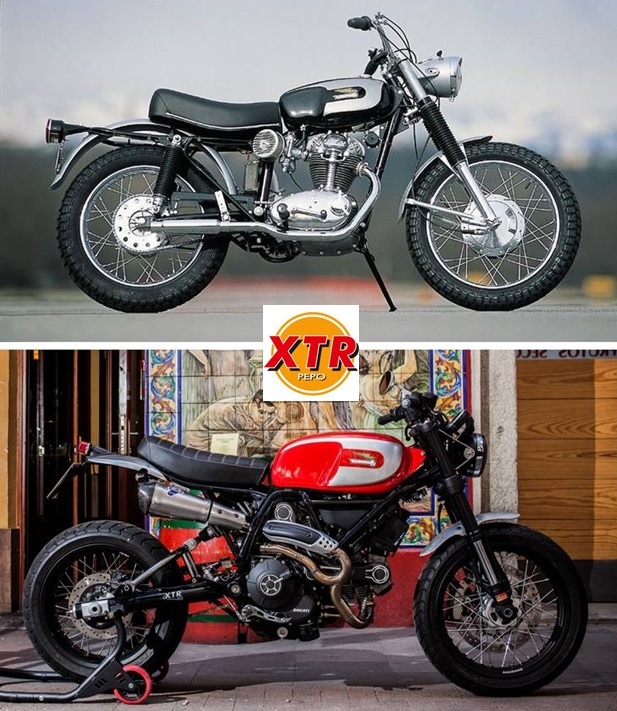 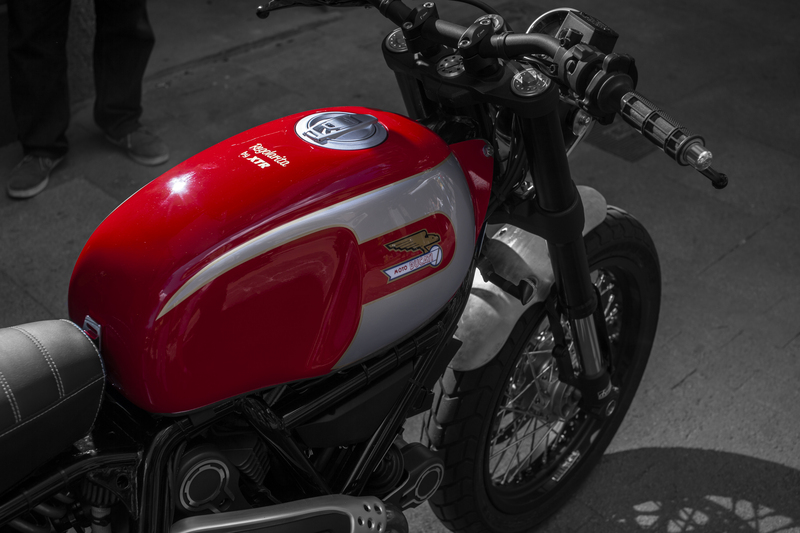 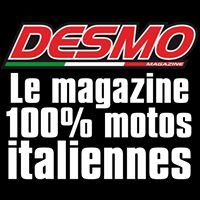 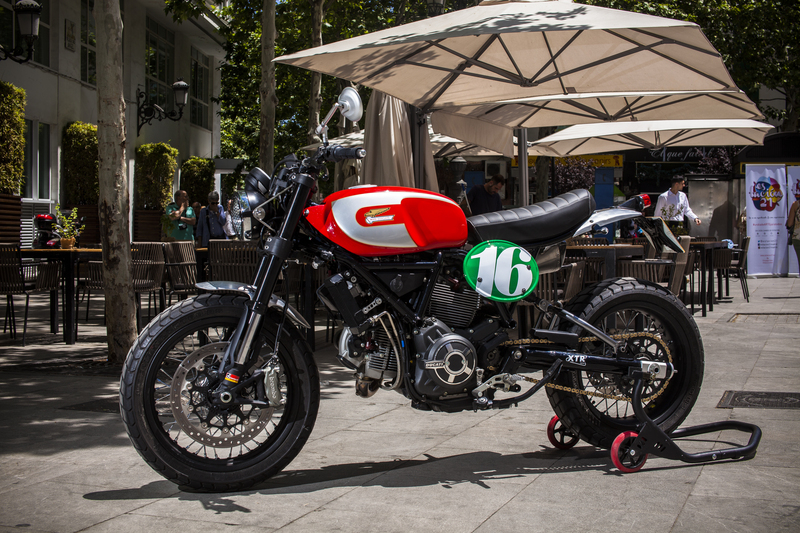 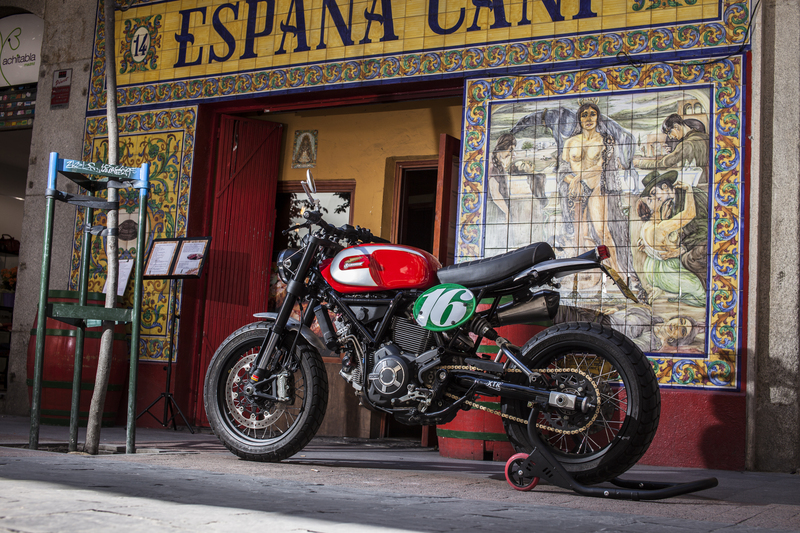 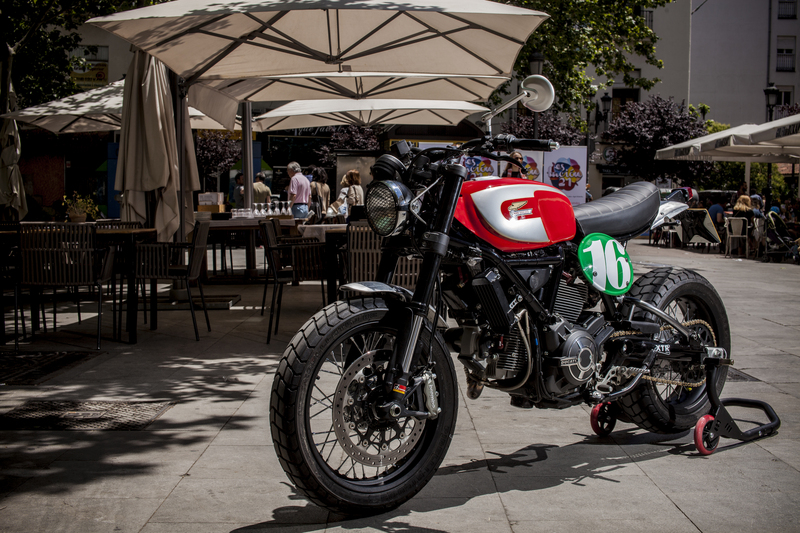 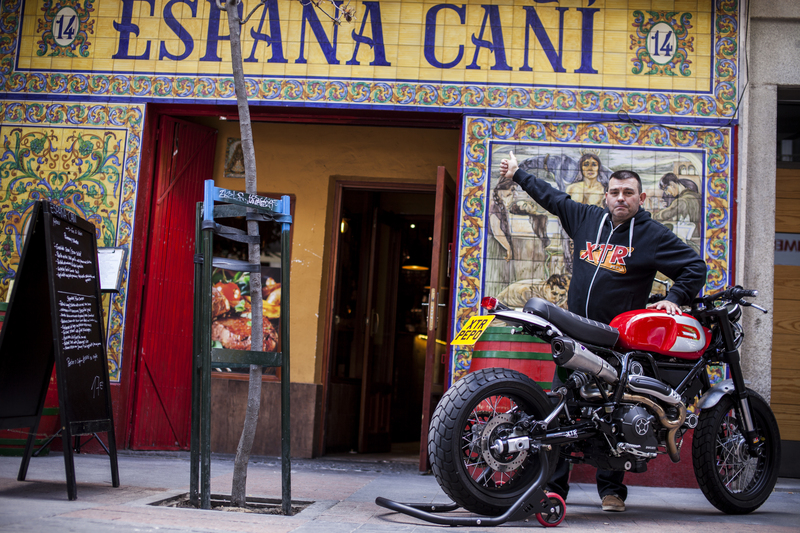 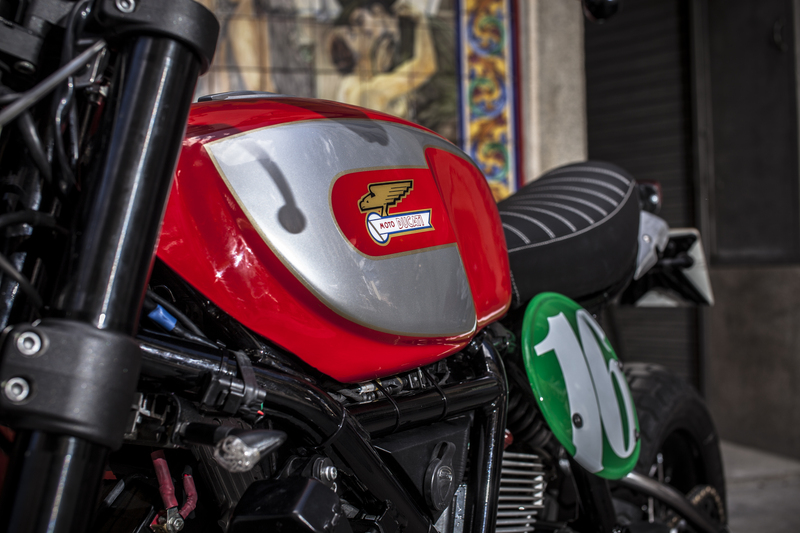 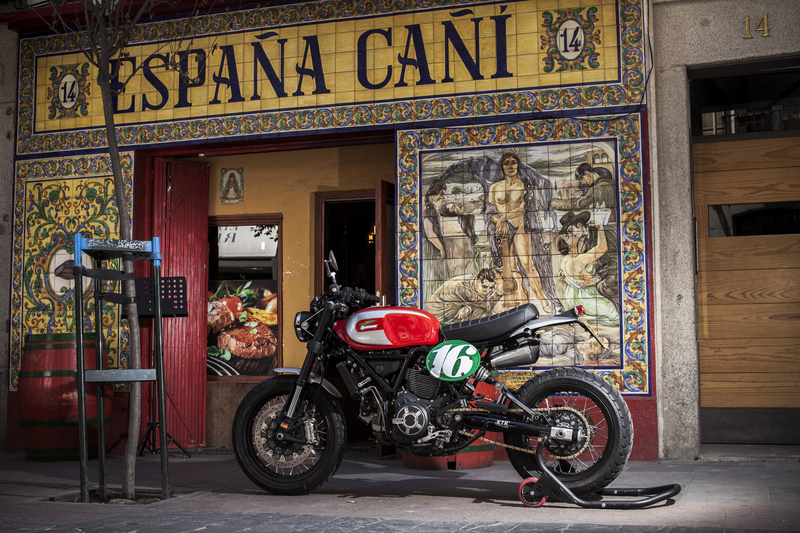 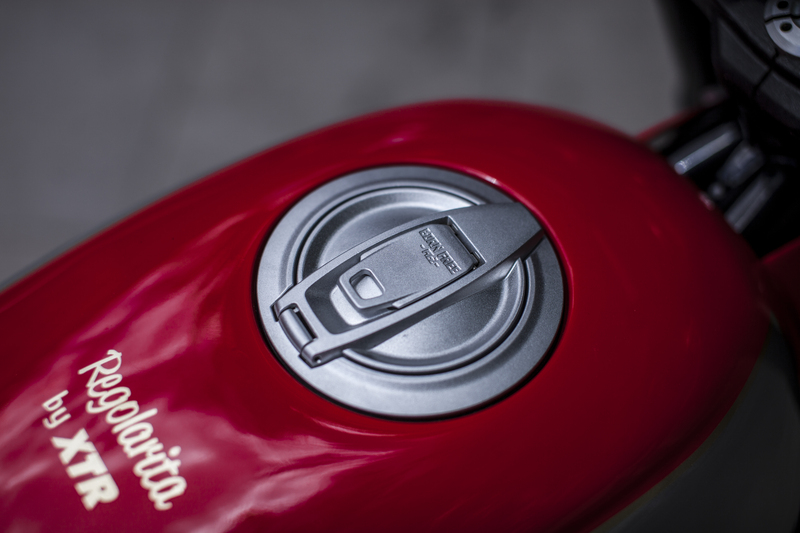 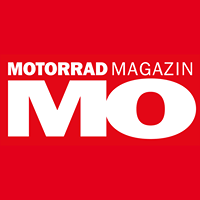 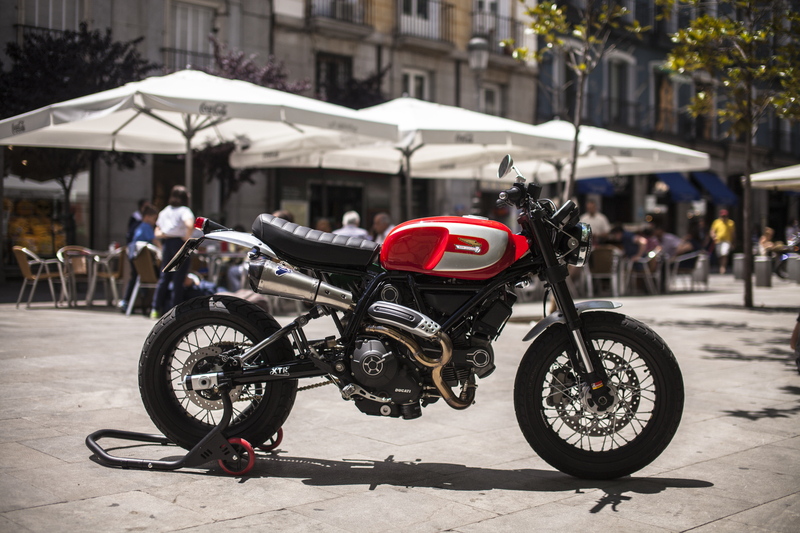 Donnor bike : Ducati Scrambler ICON (2016). 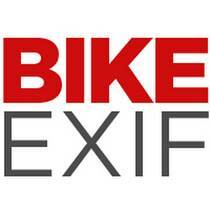 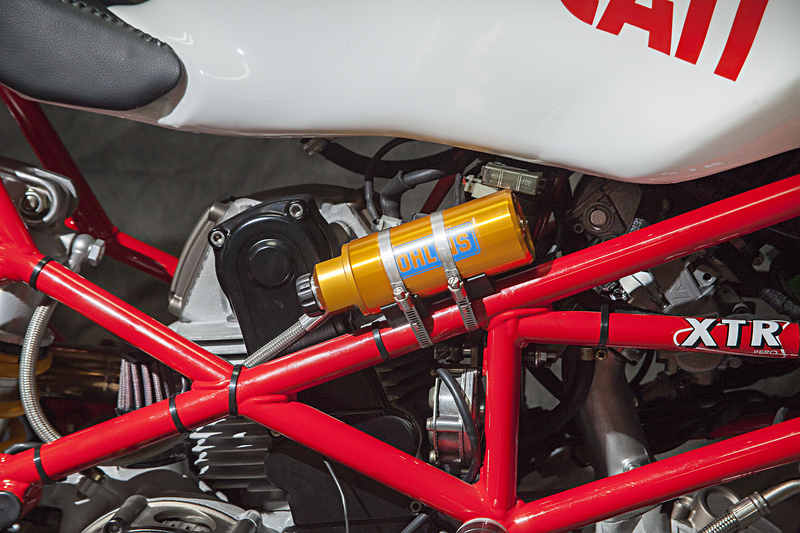 -Modified OEM frame, cutting entirely rear frame and making a new subframe. 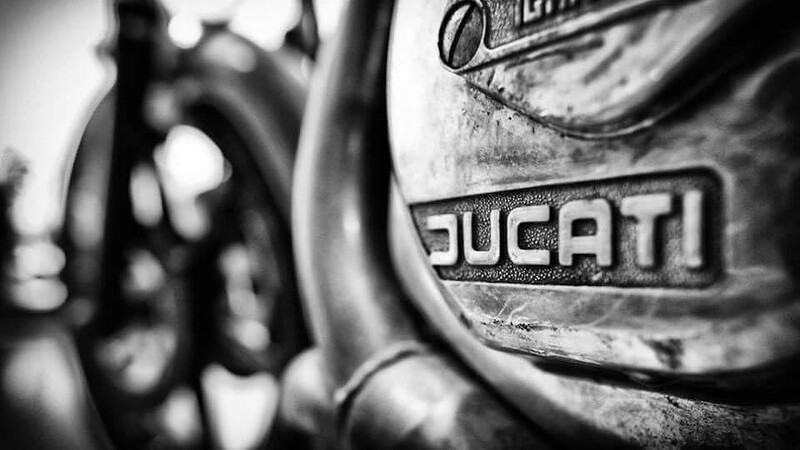 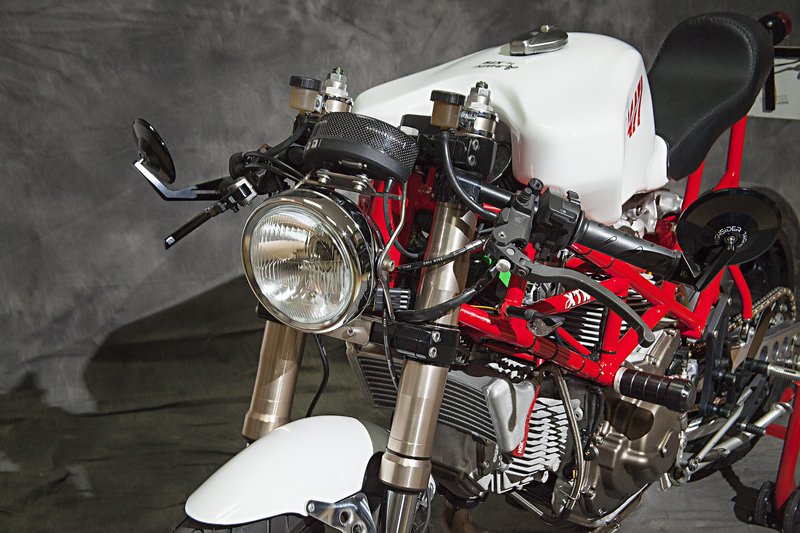 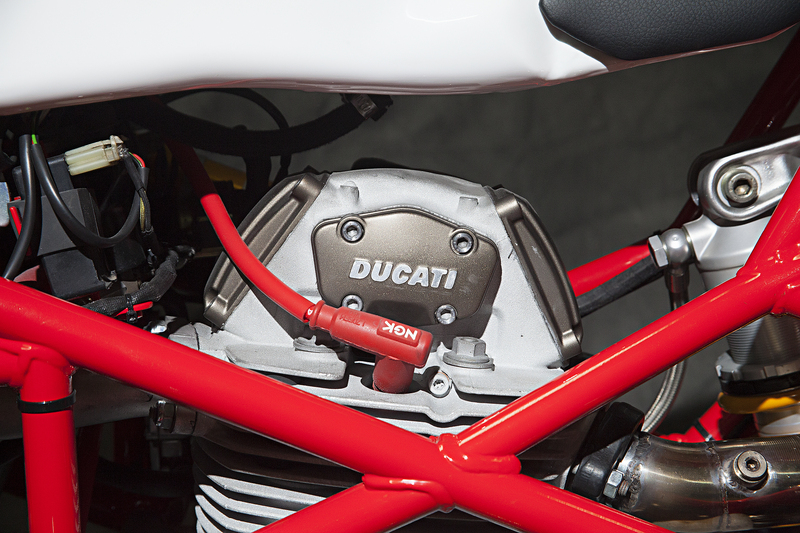 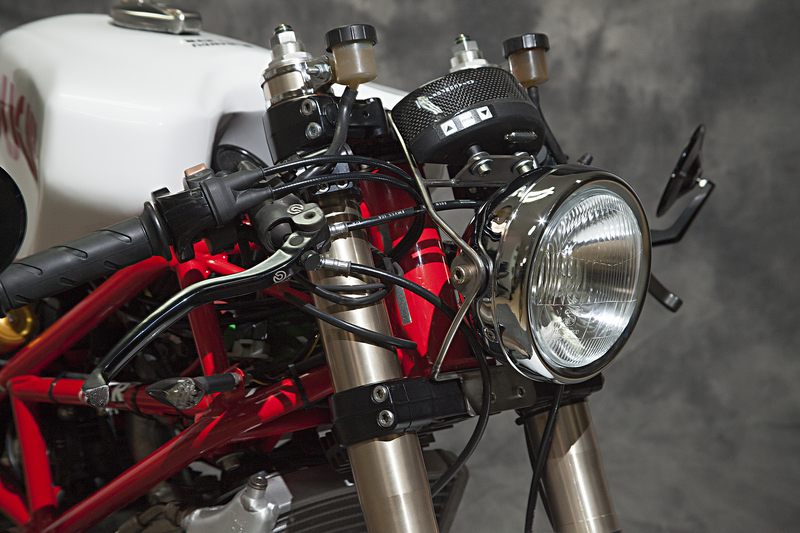 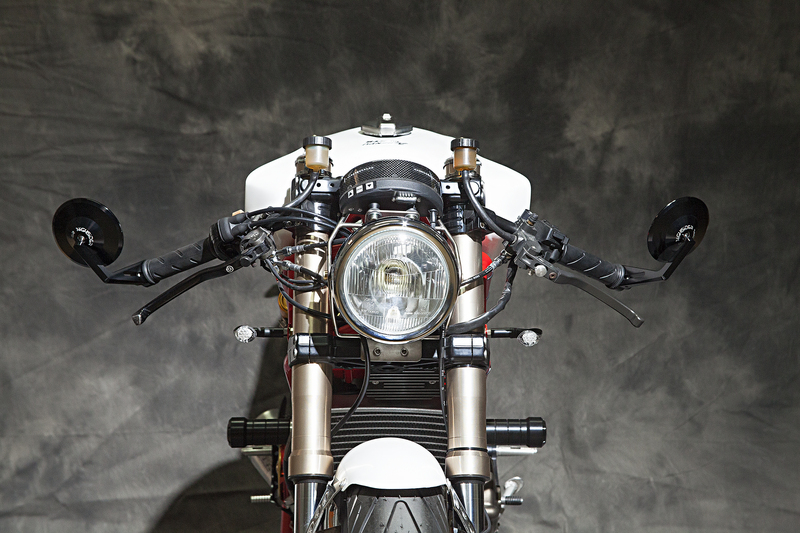 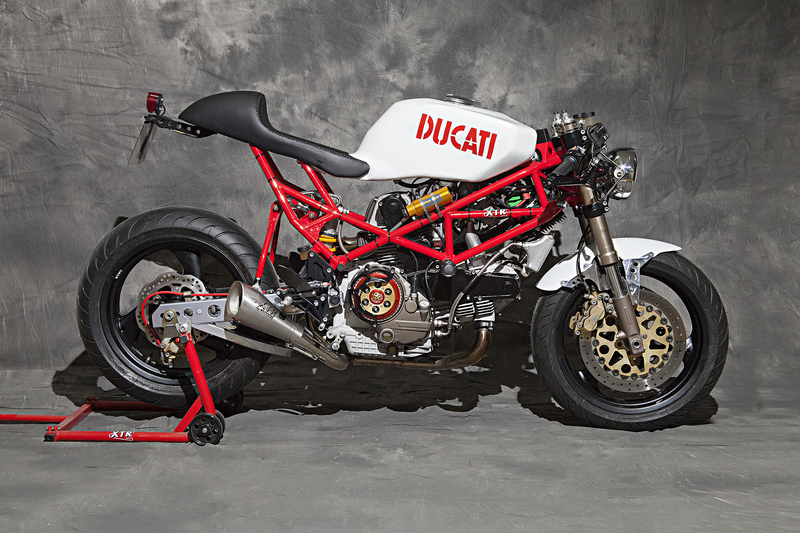 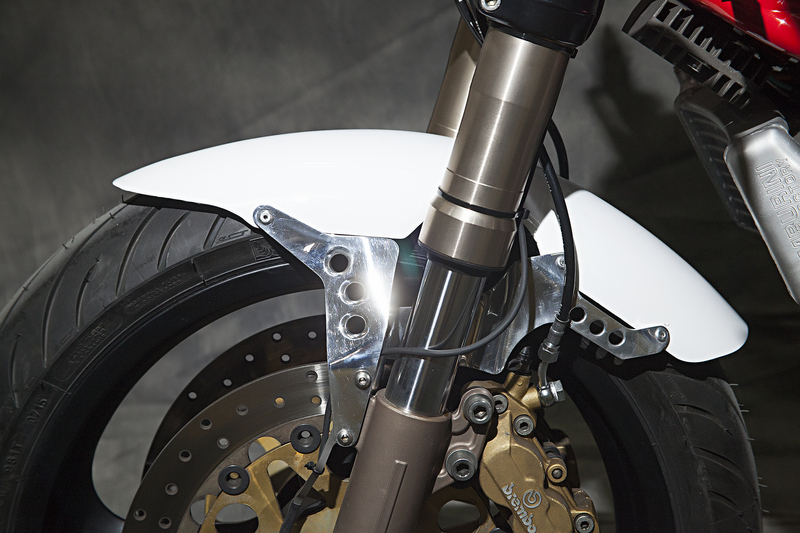 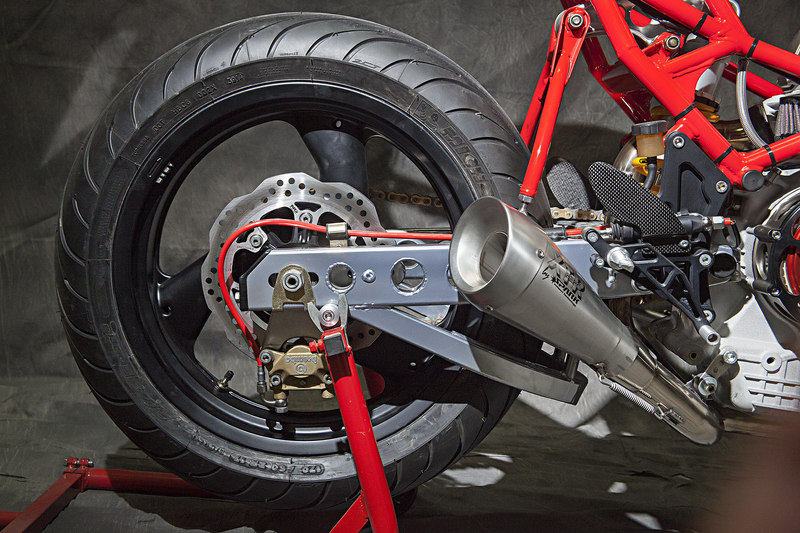 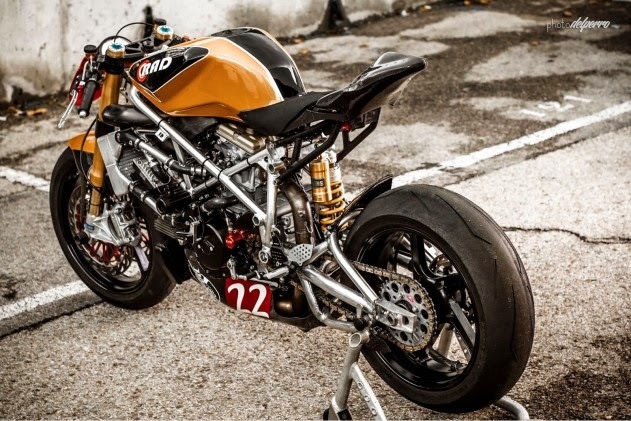 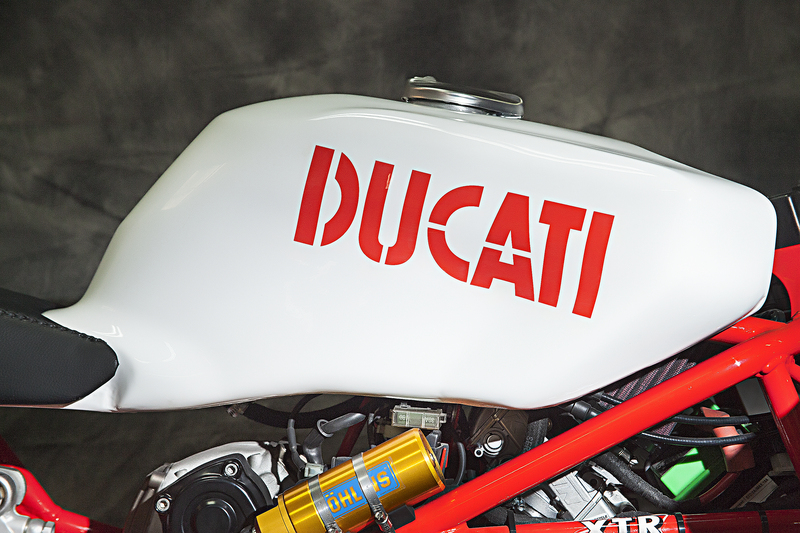 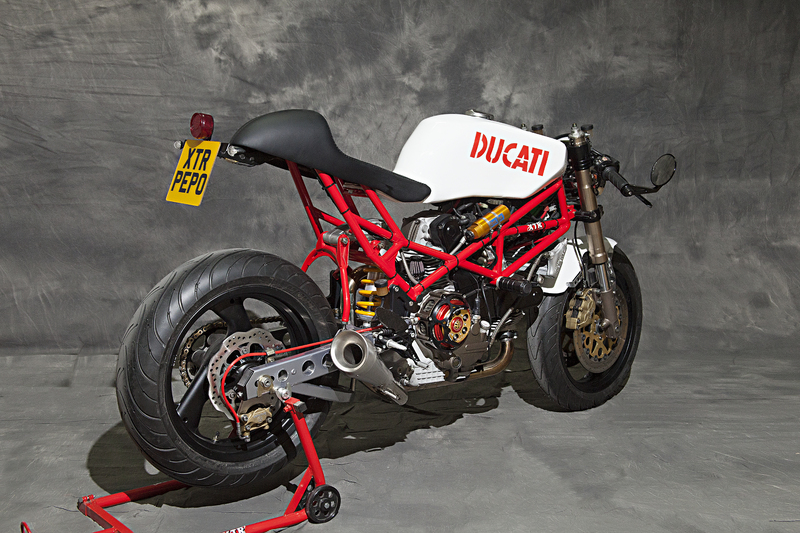 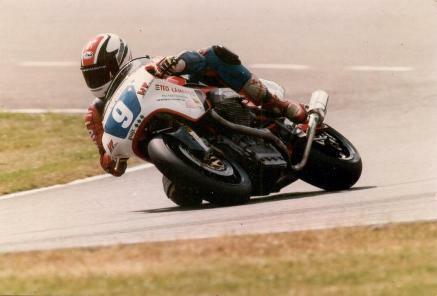 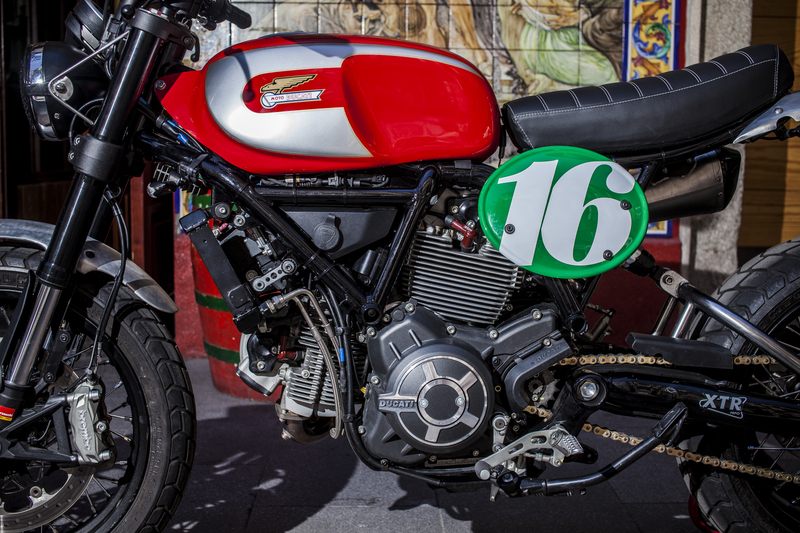 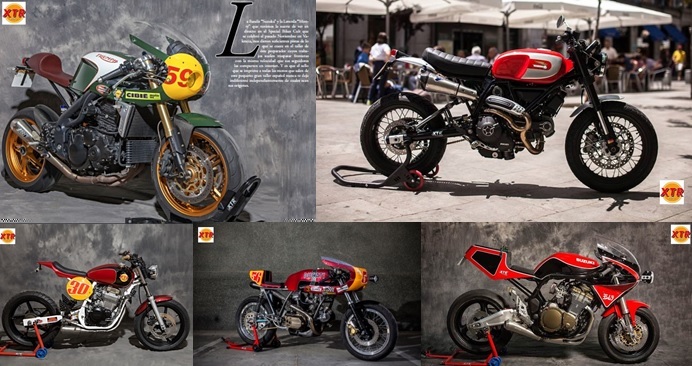 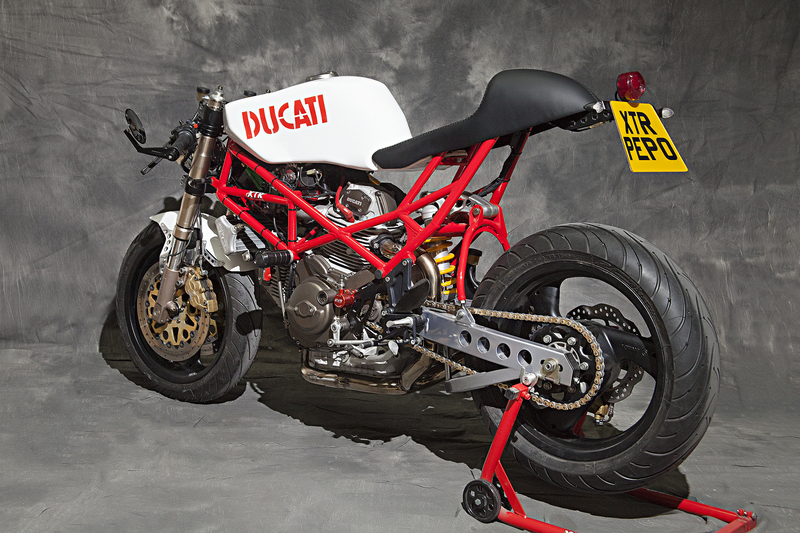 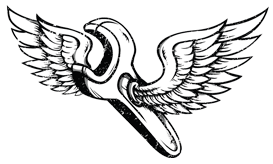 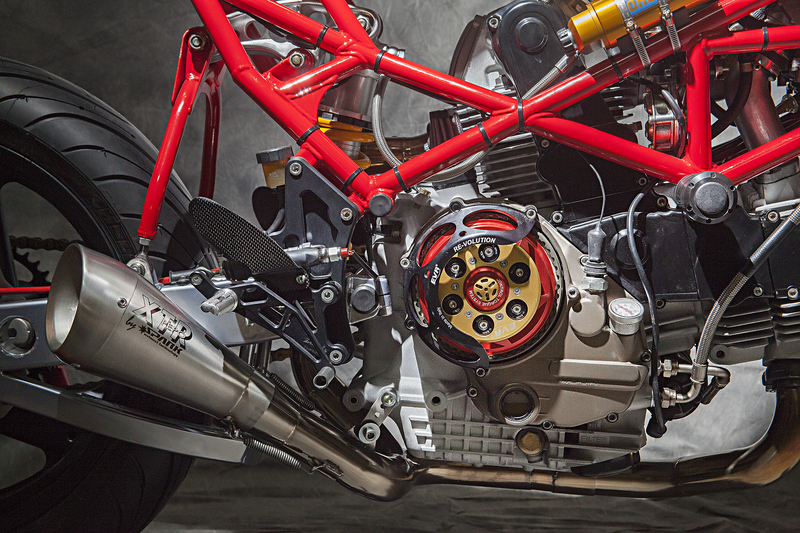 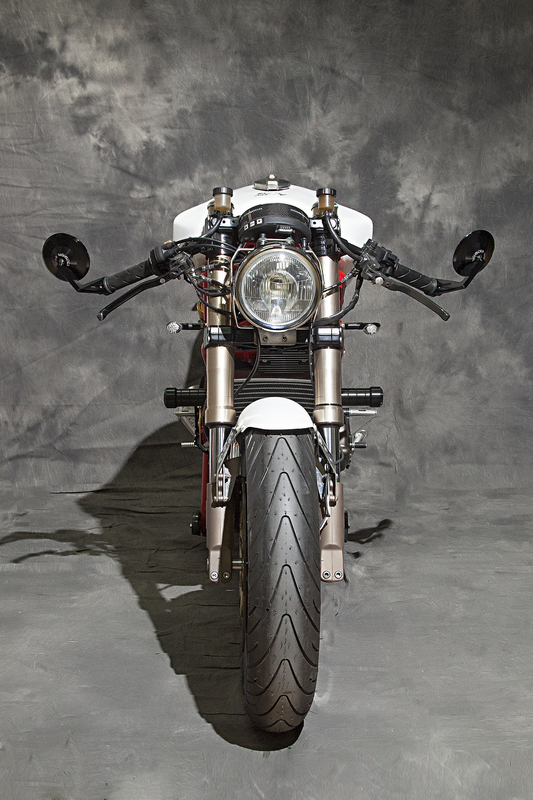 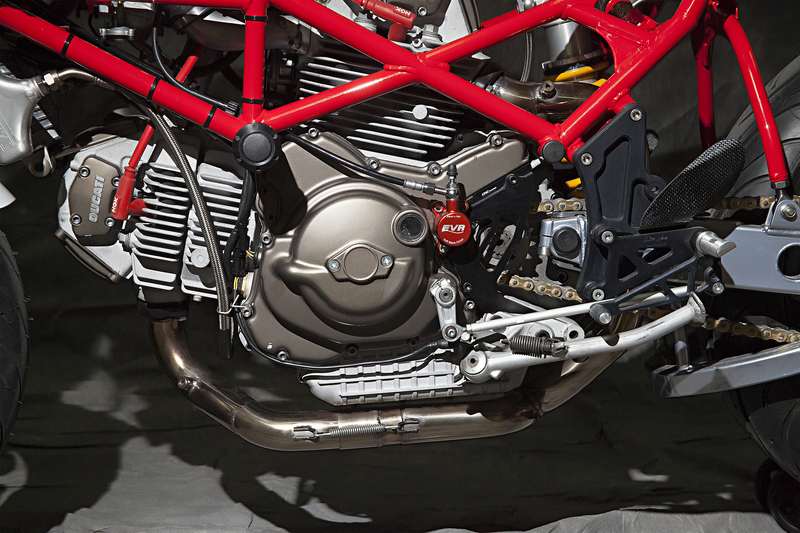 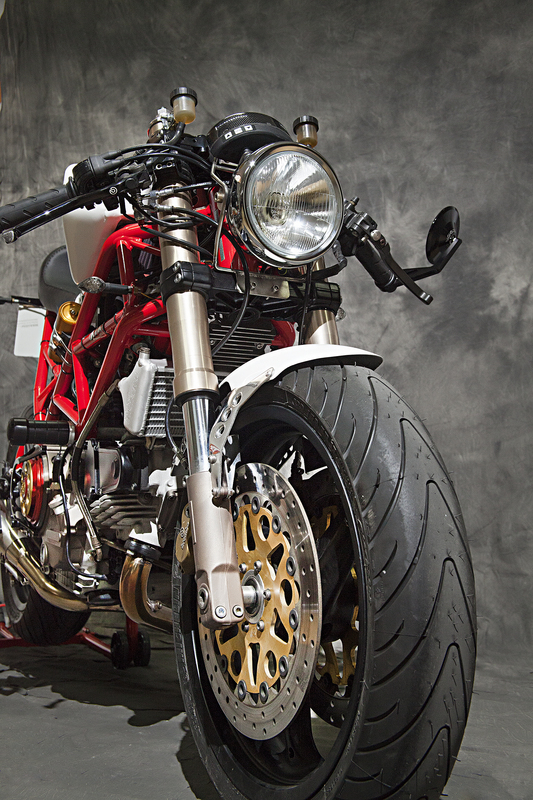 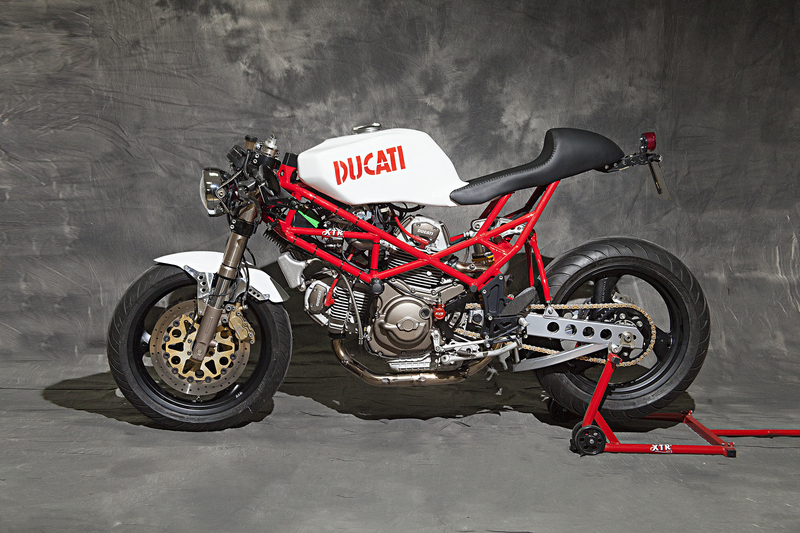 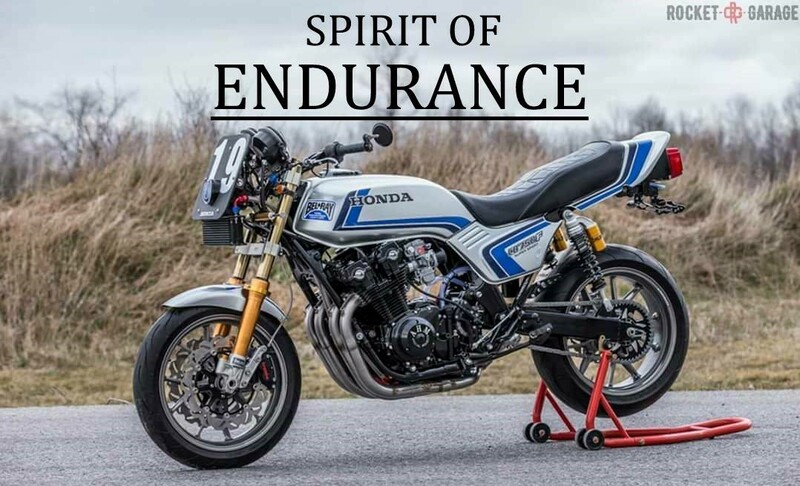 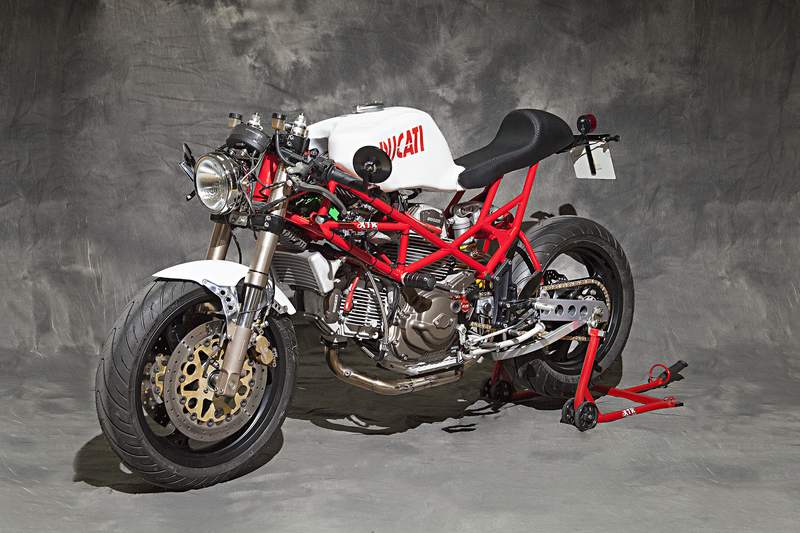 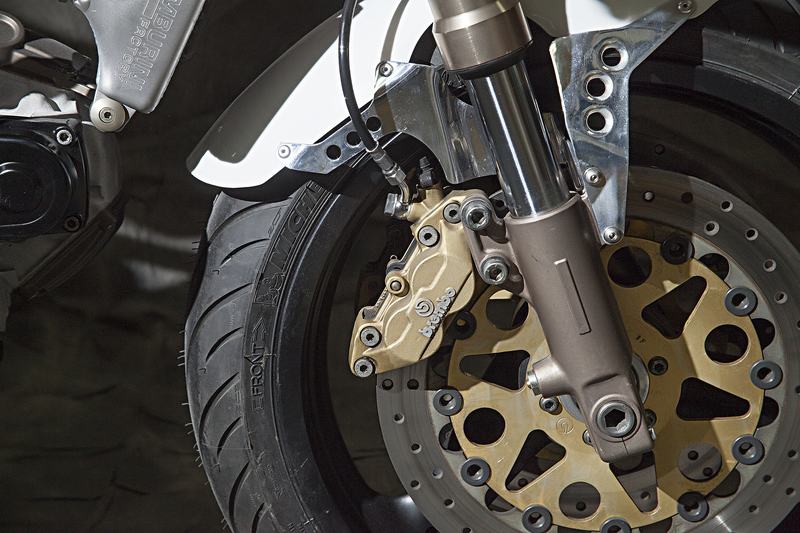 -Ducati Sport Classic modified swingarm with detachable cantilever. 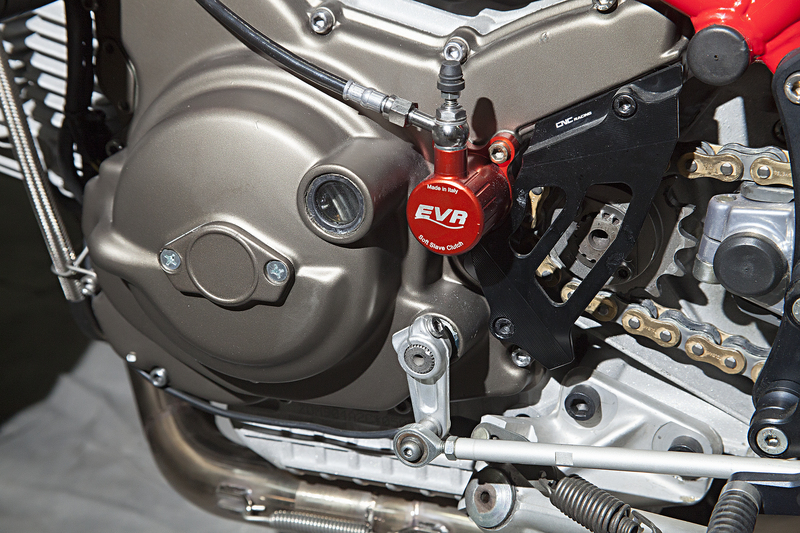 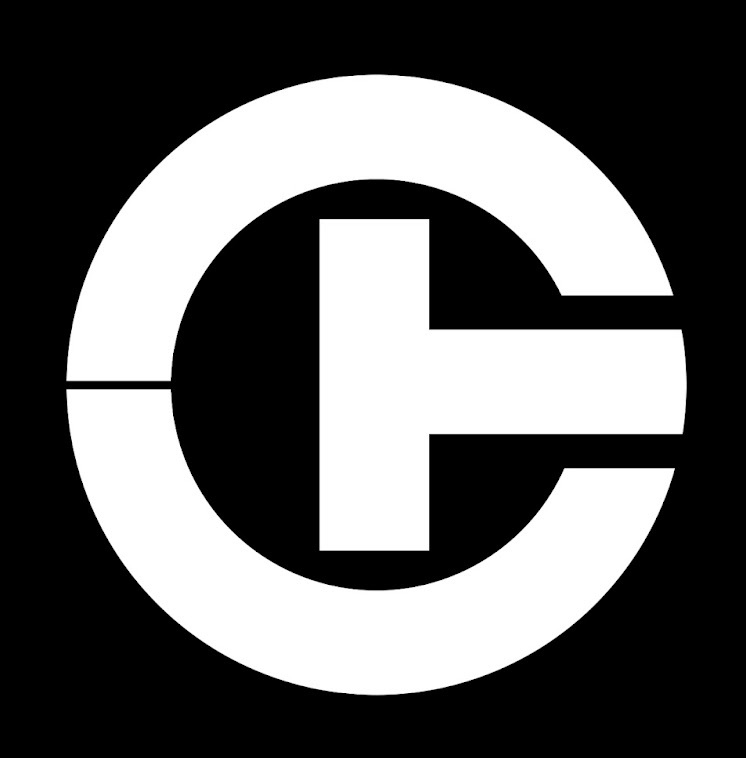 Cantilever shock system conversion. 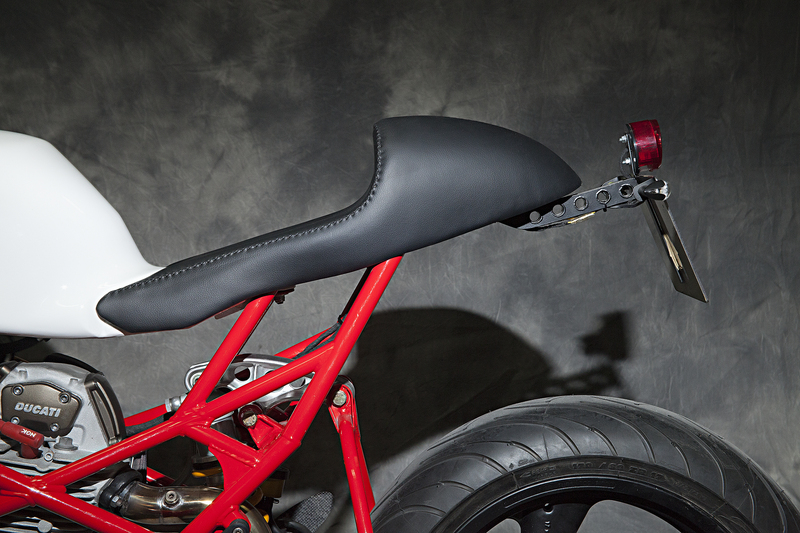 -OEM footrest support modified for solo use. 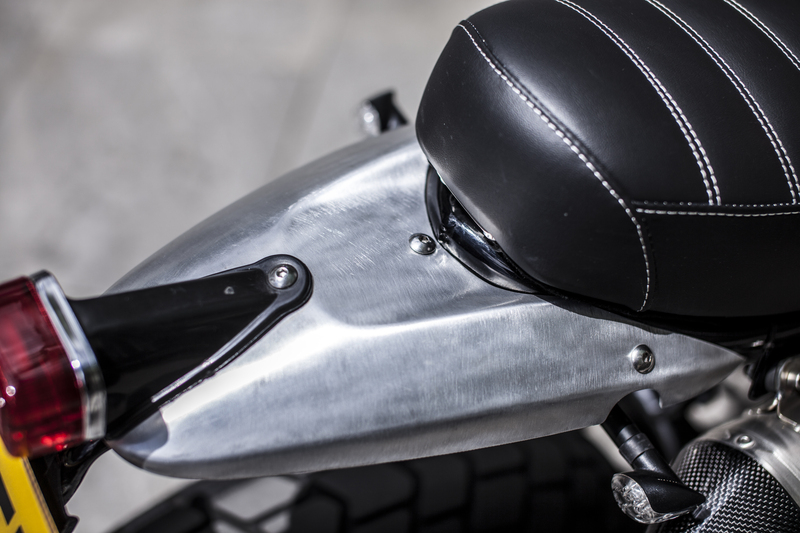 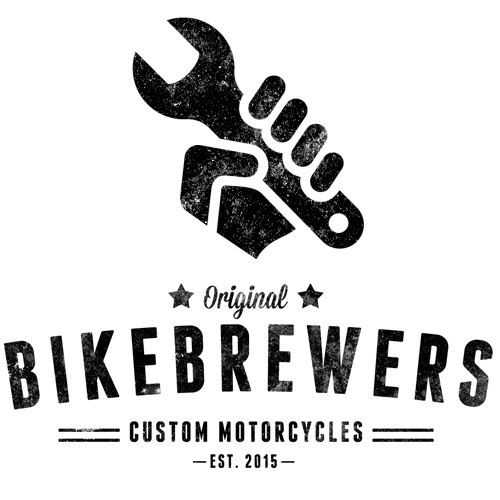 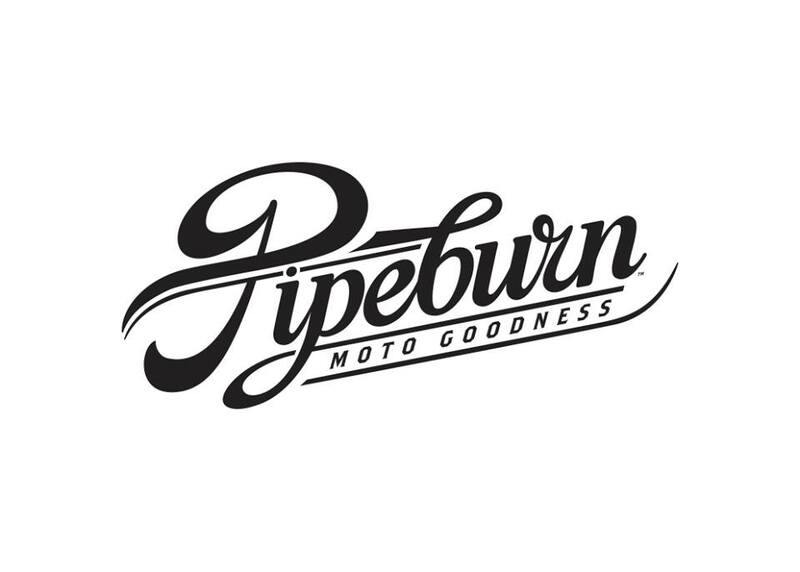 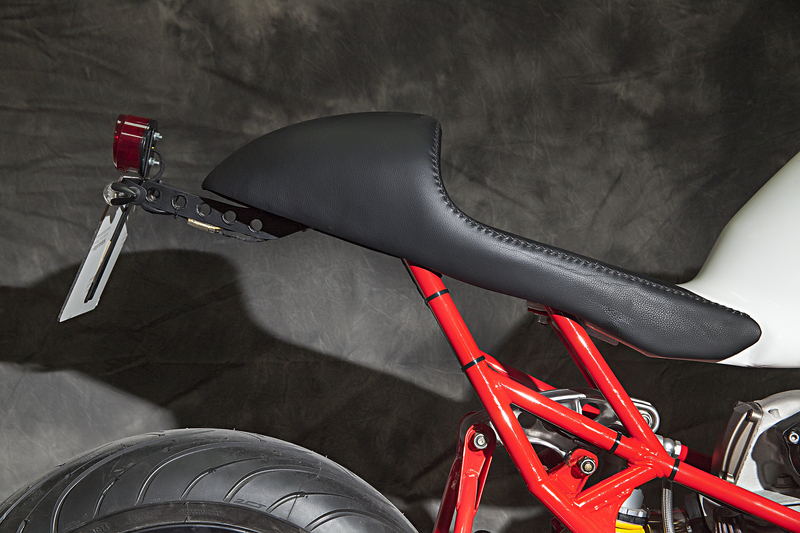 -Scrambler classic modified rear and front alluminium mudguards. 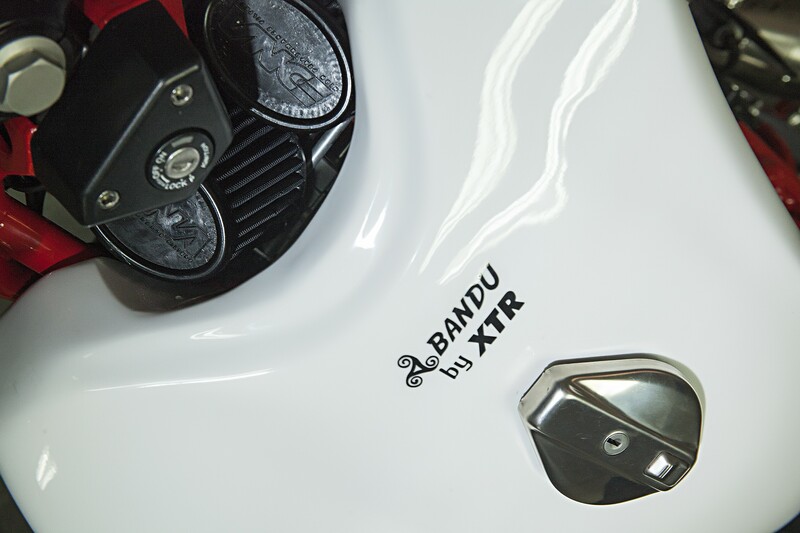 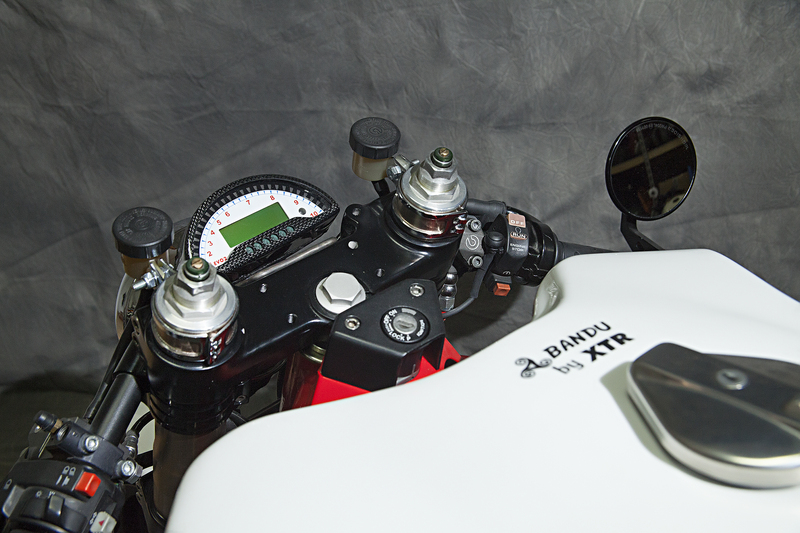 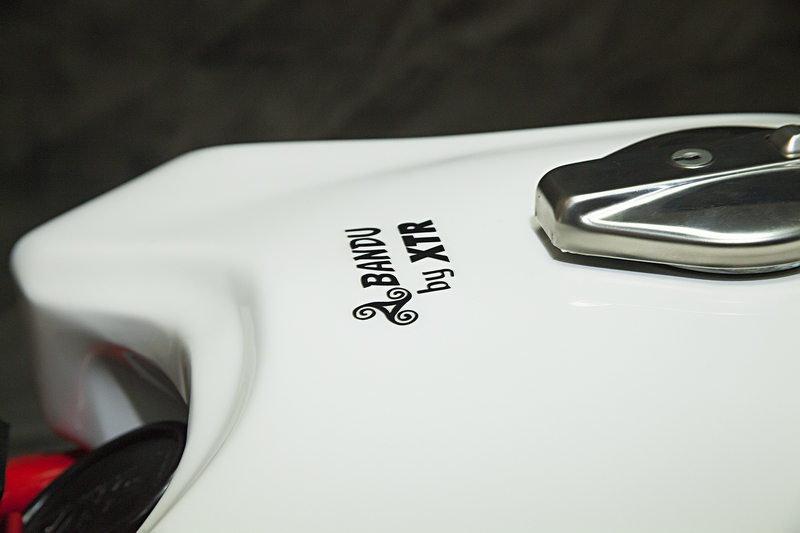 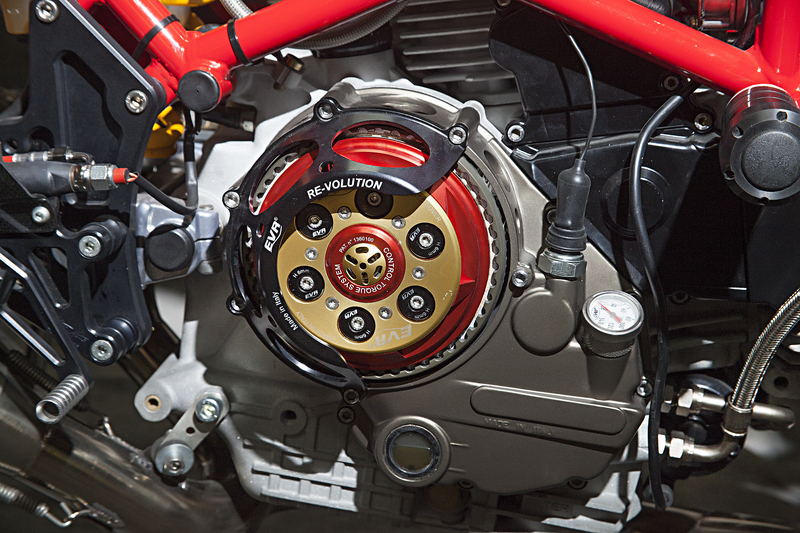 -XTR front light and clock bracket. 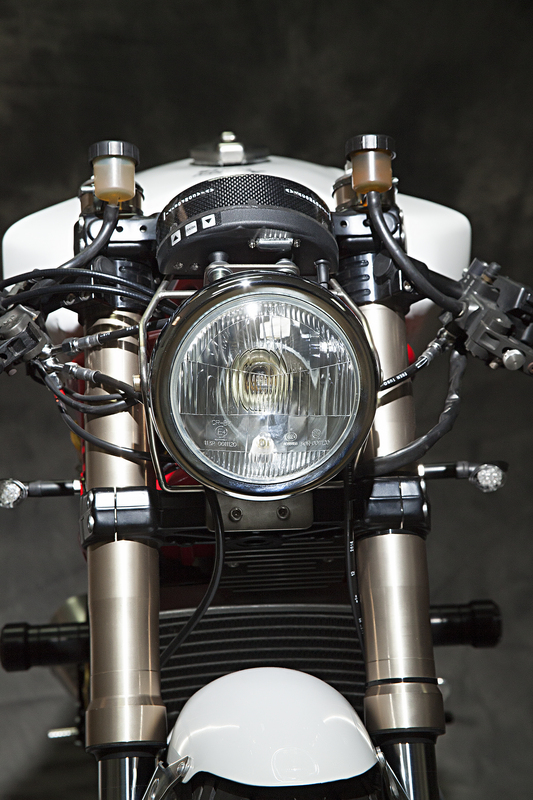 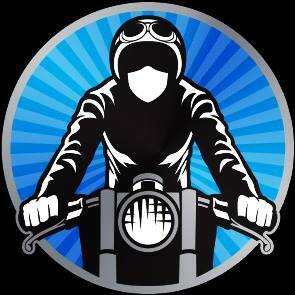 -Mash 500 Scrambler front light with grid. 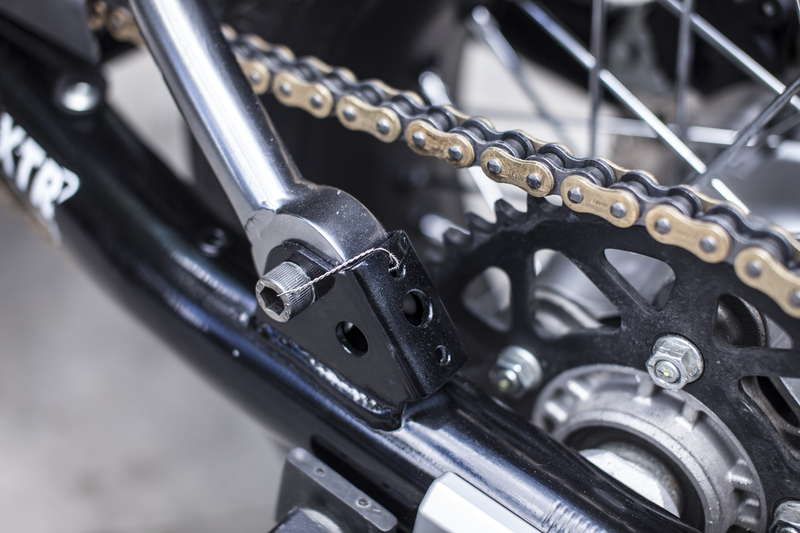 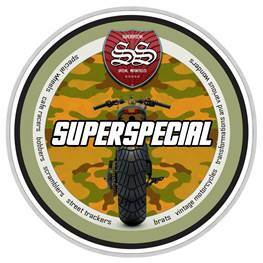 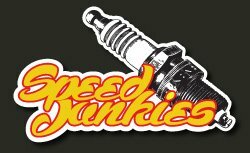 -Scrambler Classic OEM spoked wheels. 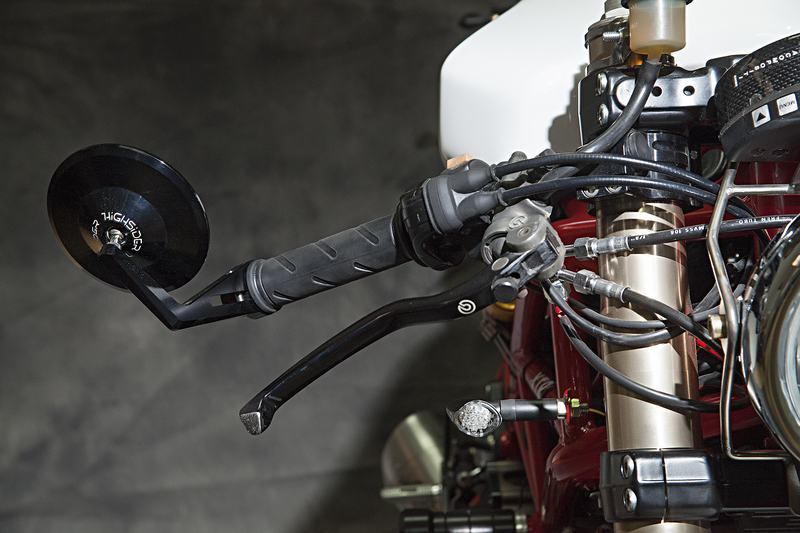 -ABS box reposition with new Frentubo brake lines . 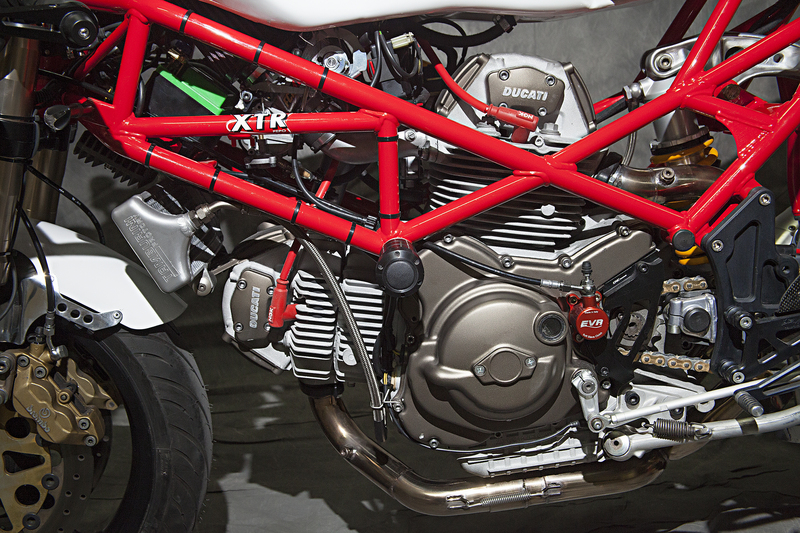 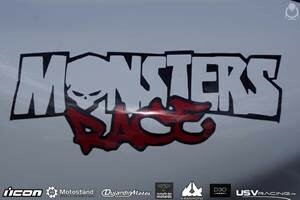 -Monster 1200 OEM conical handle bar. 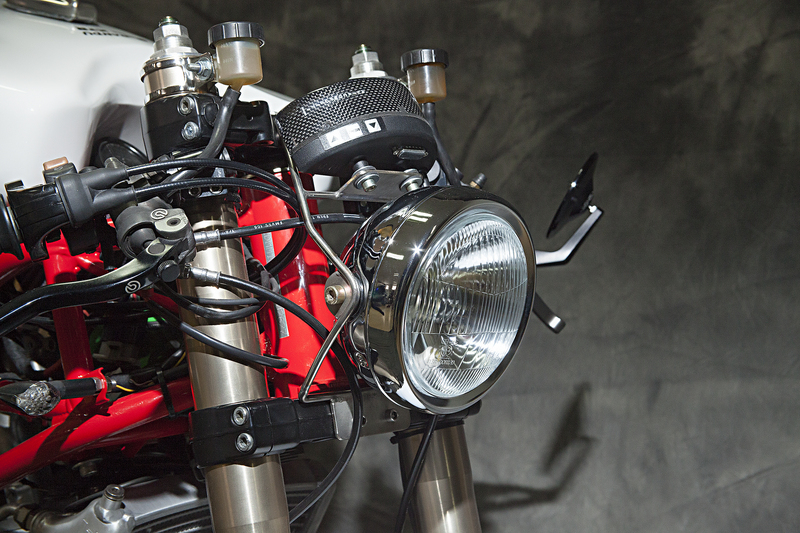 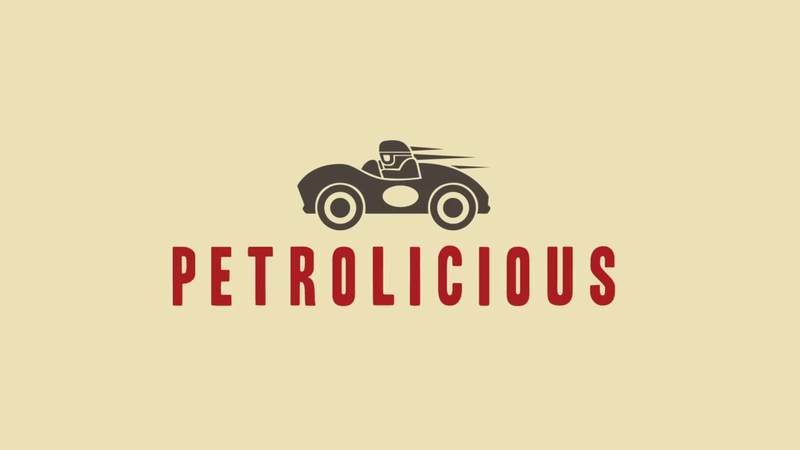 -Electrical wiring and ECU repositioning. 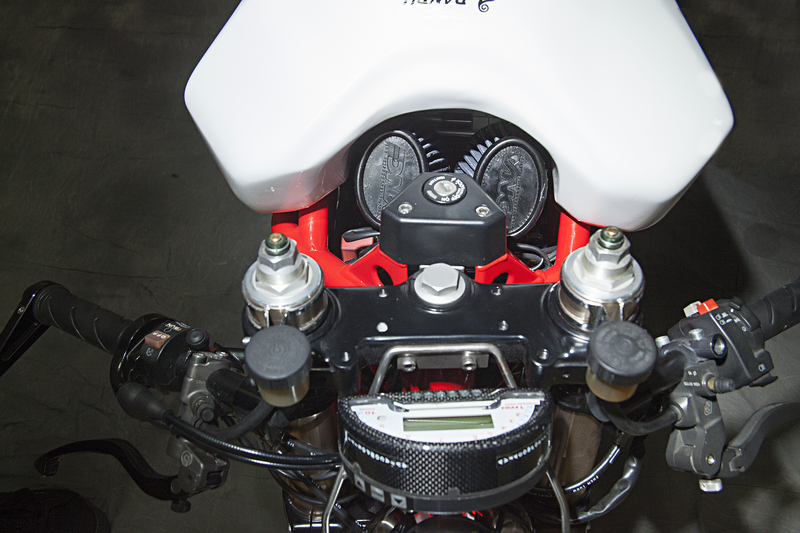 -OEM air box elimination replaced by an inlet manifold with grid. 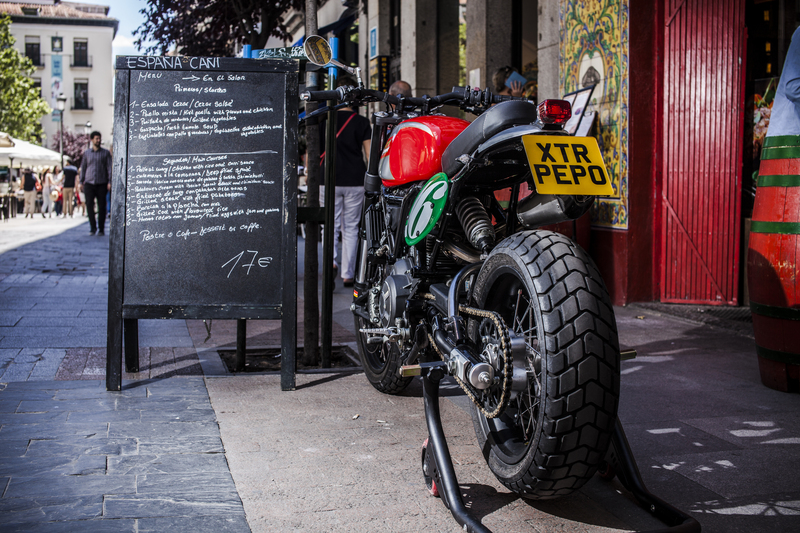 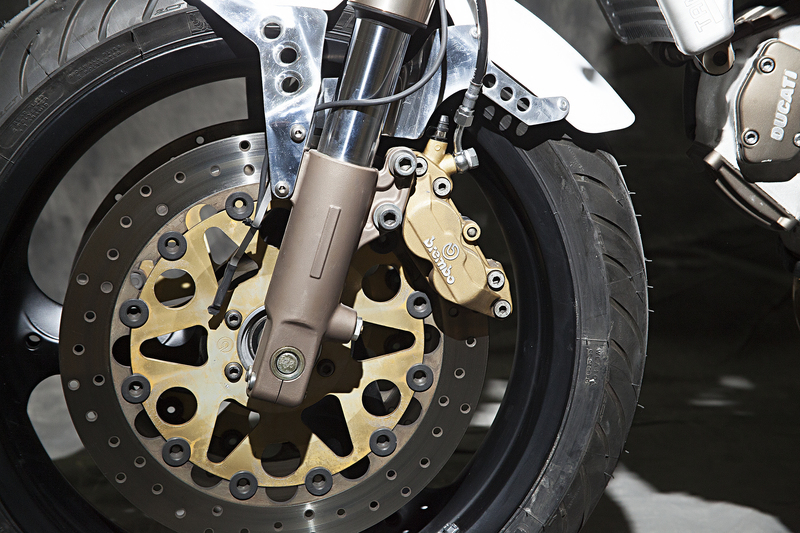 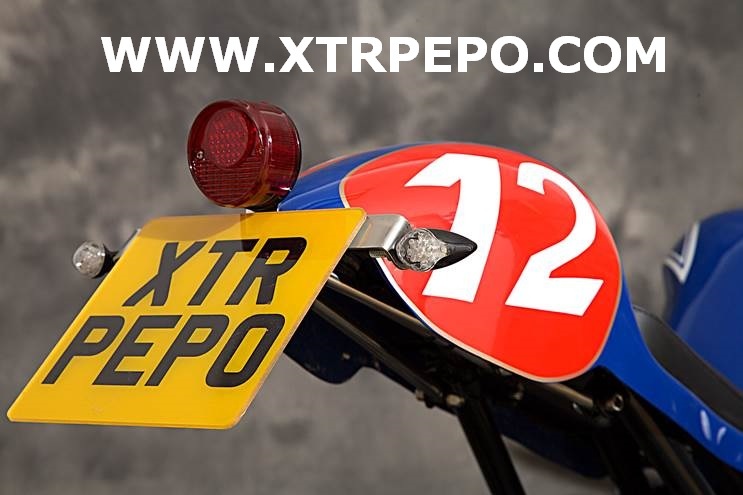 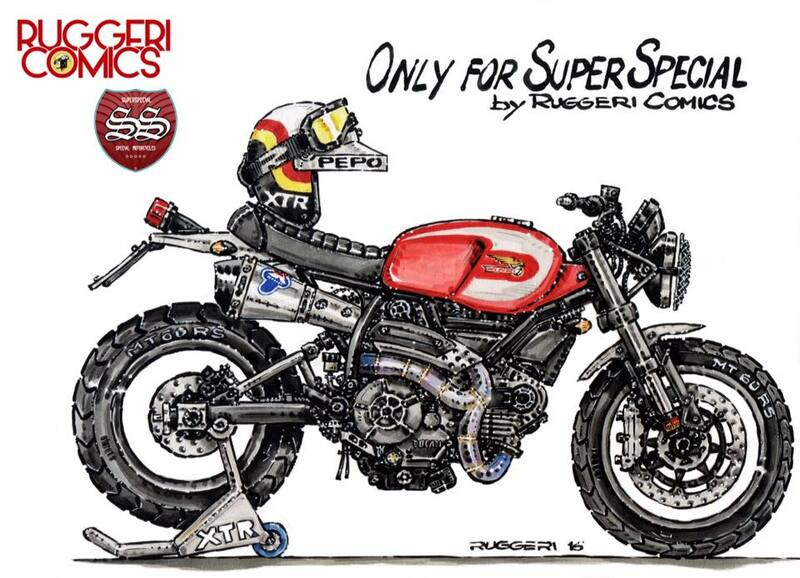 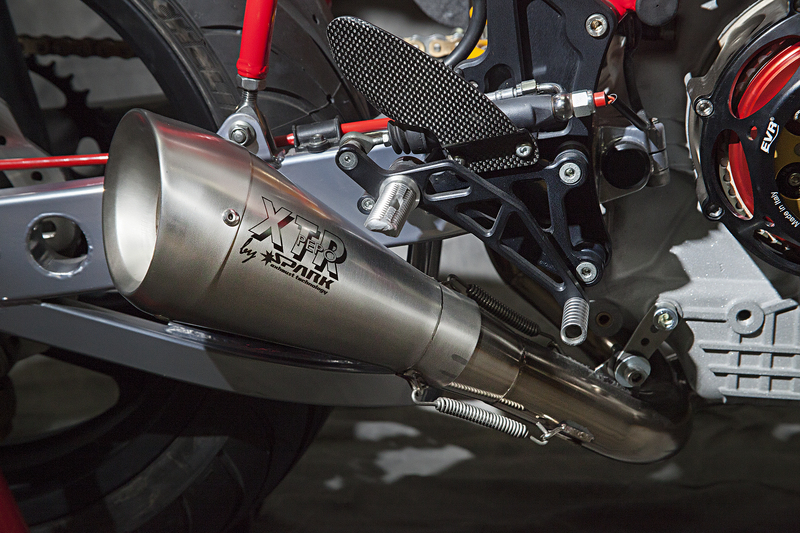 -XTR two in one exhaust system made by Super Mario with Termignoni silencer. 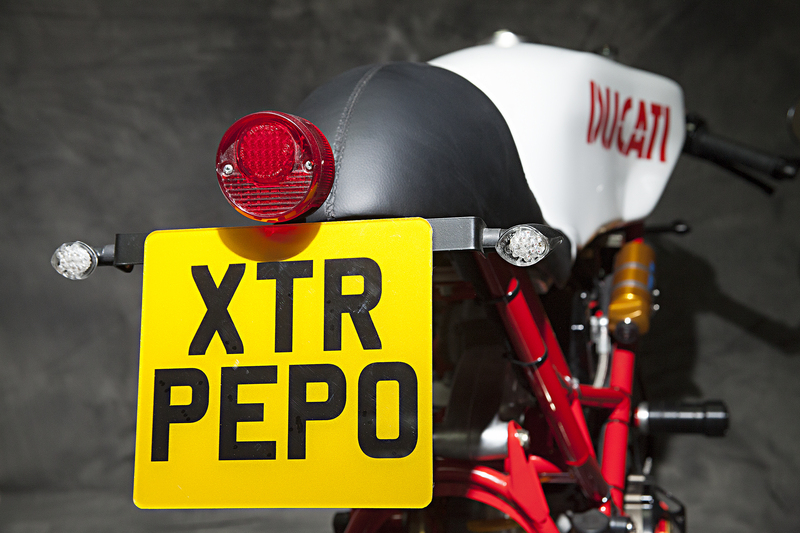 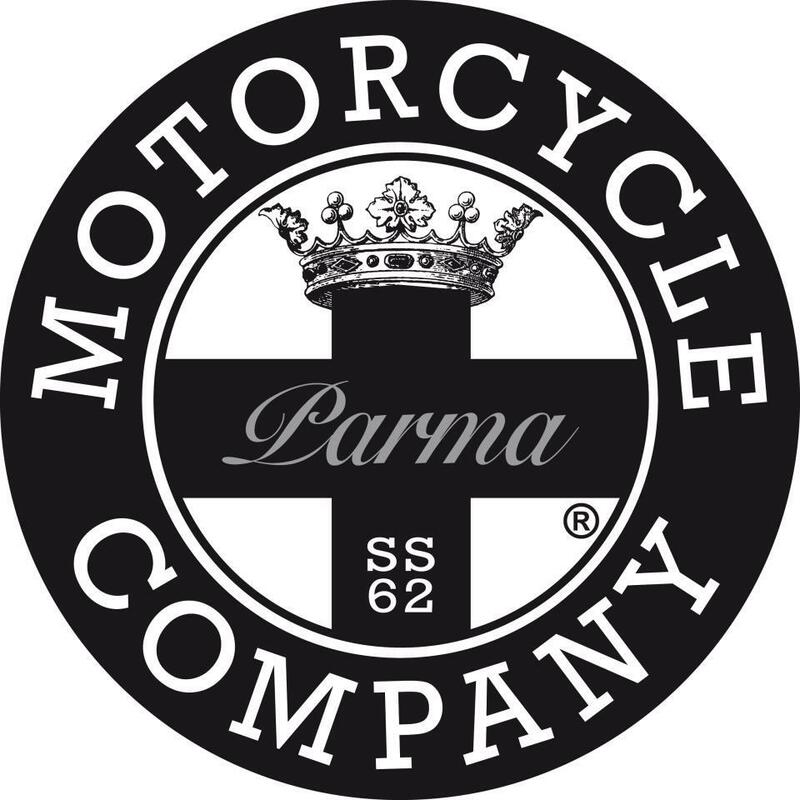 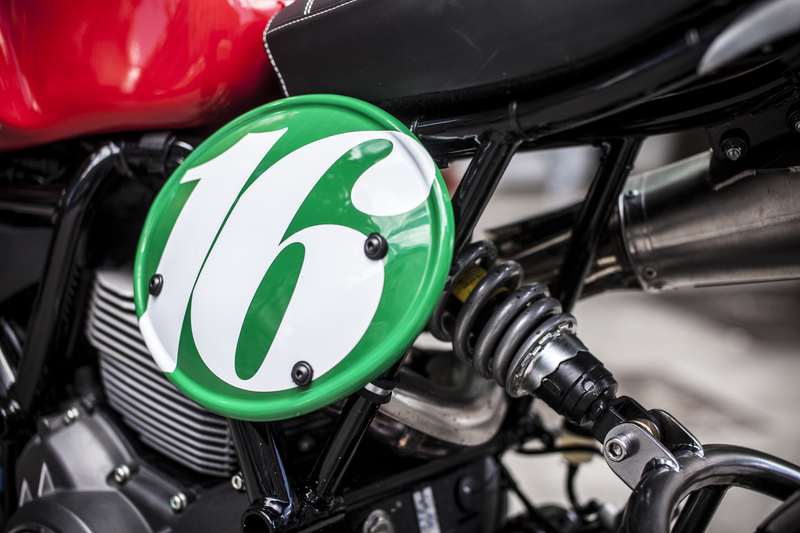 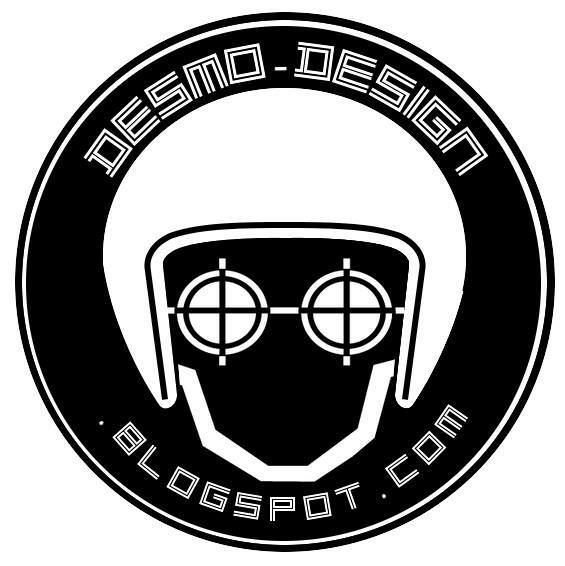 -Ducati De Luxe 250 (1962) modified fuel tank for mount Scrambler OEM fuel pump and gas cap. 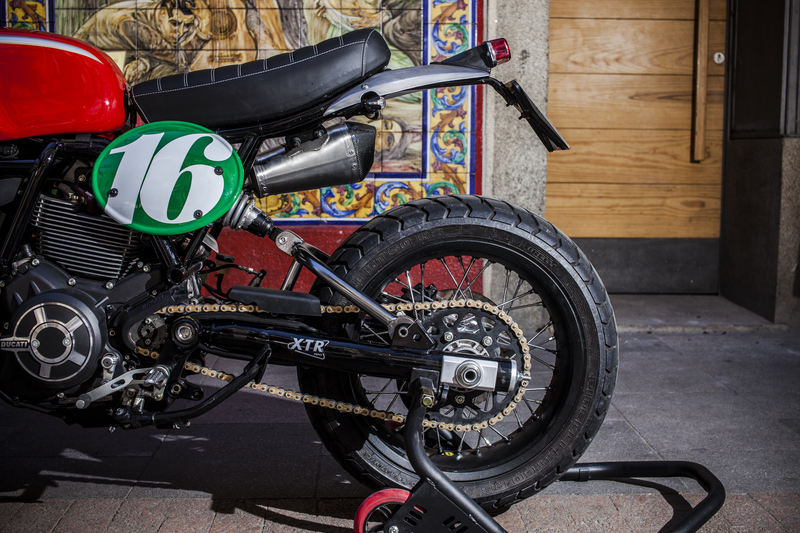 -Ossa Enduro 250 (1970) seat. 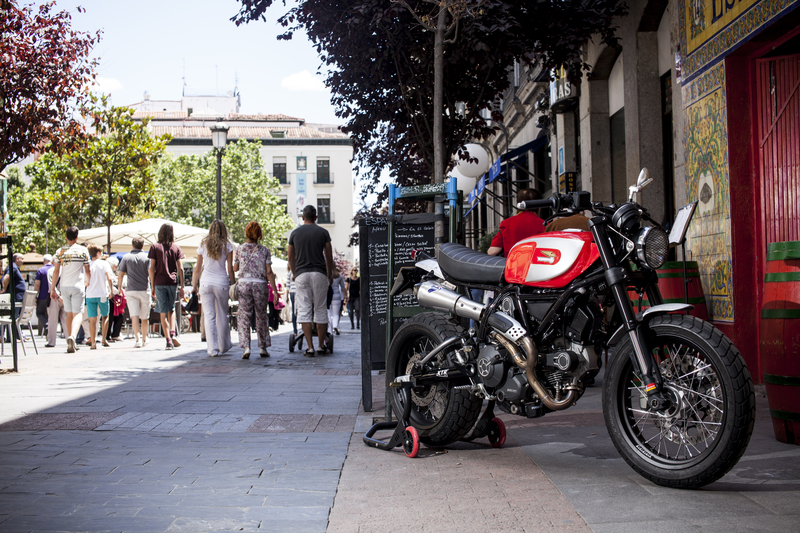 Painting : Pintumoto and Artenruta.